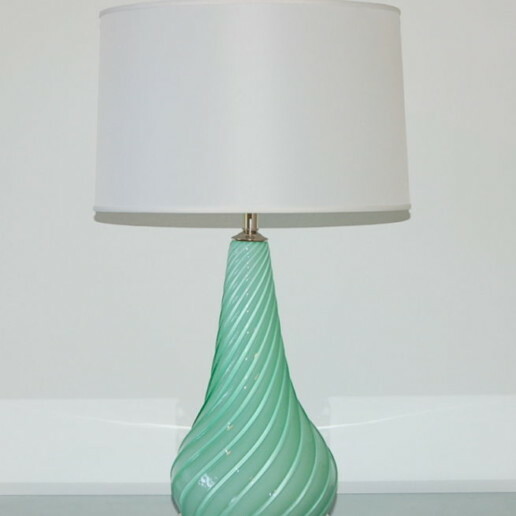 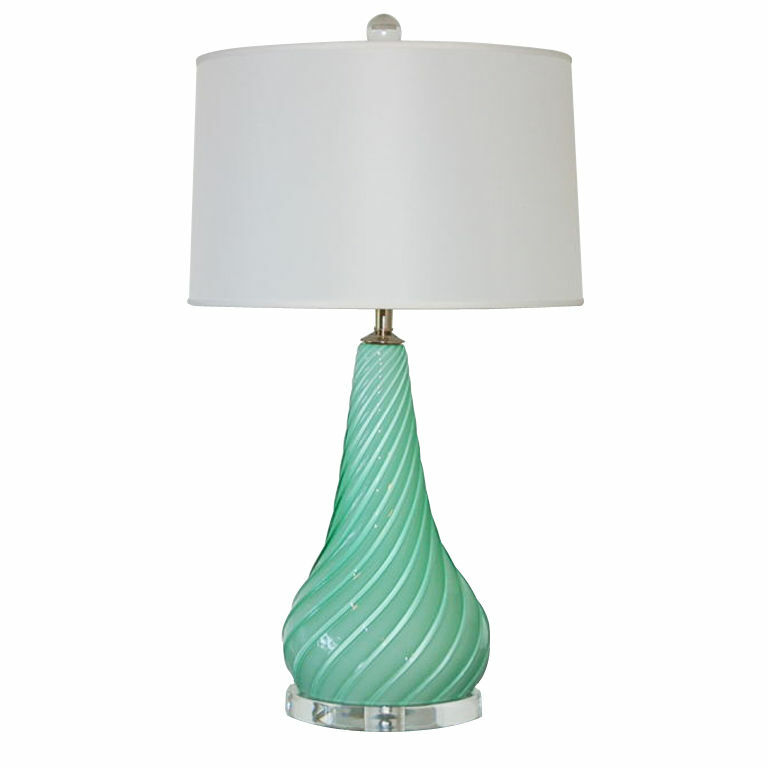 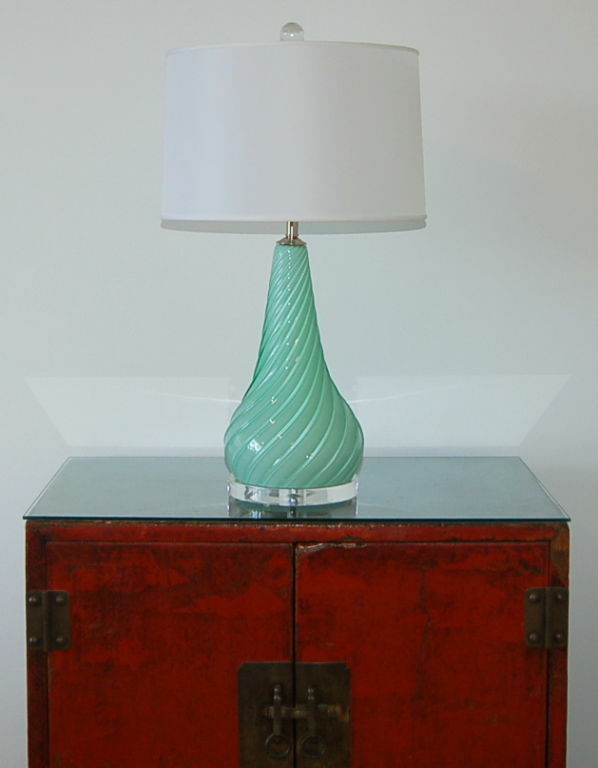 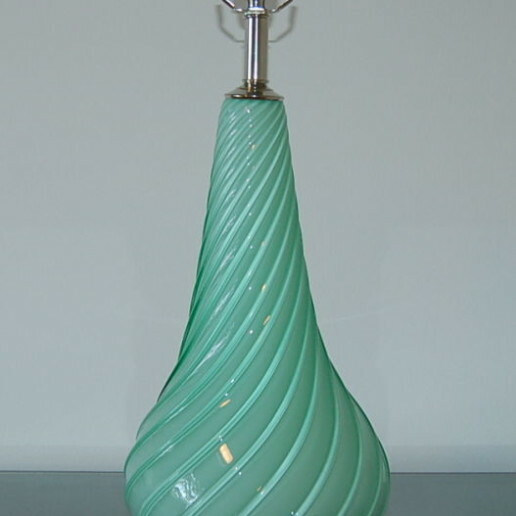 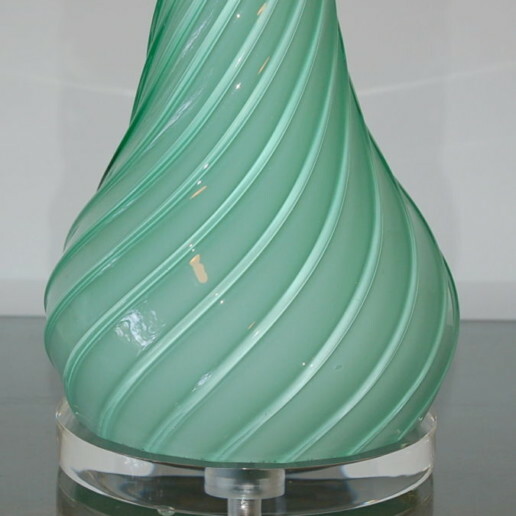 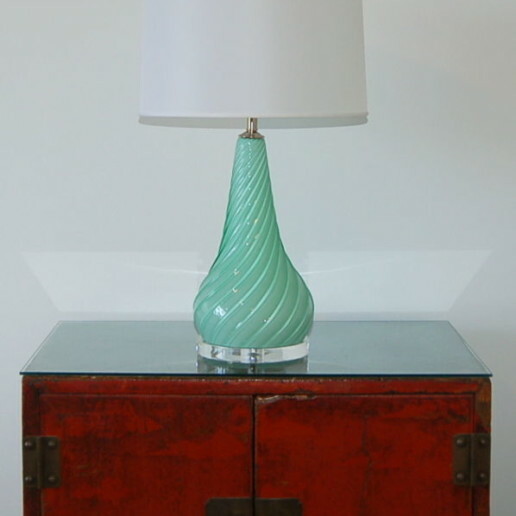 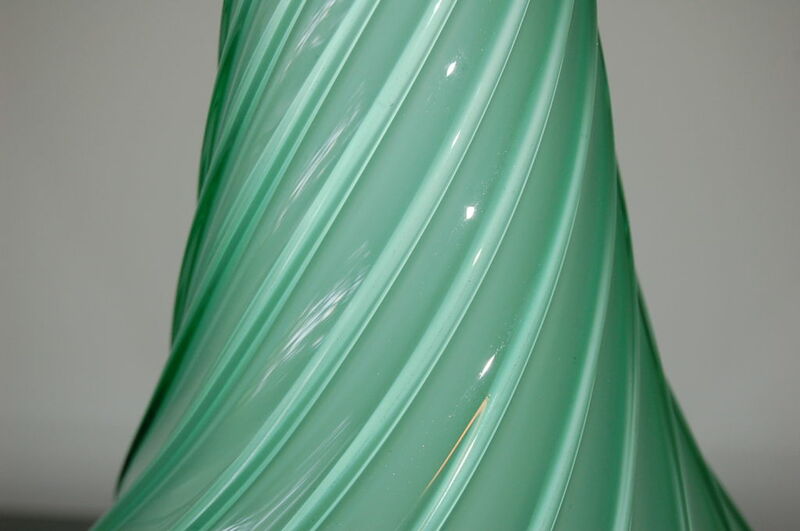 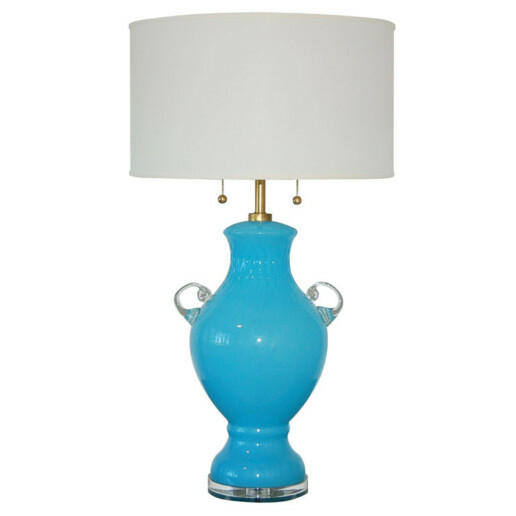 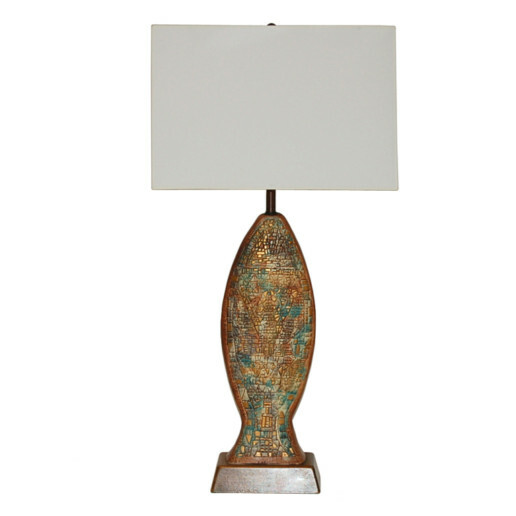 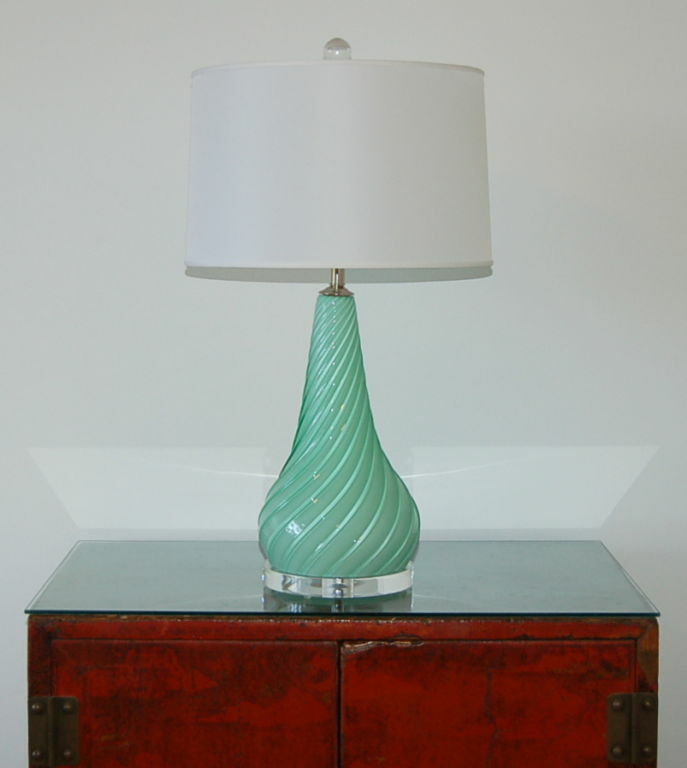 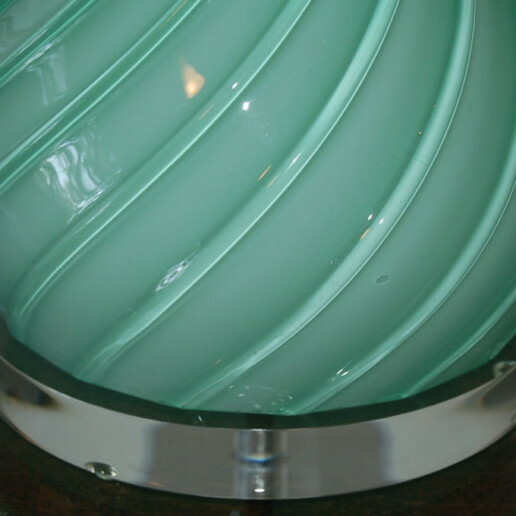 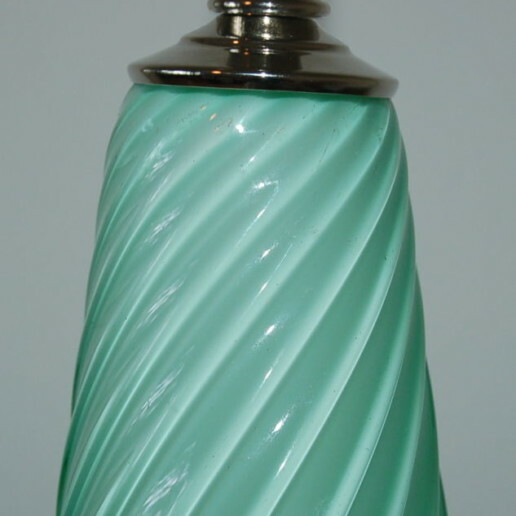 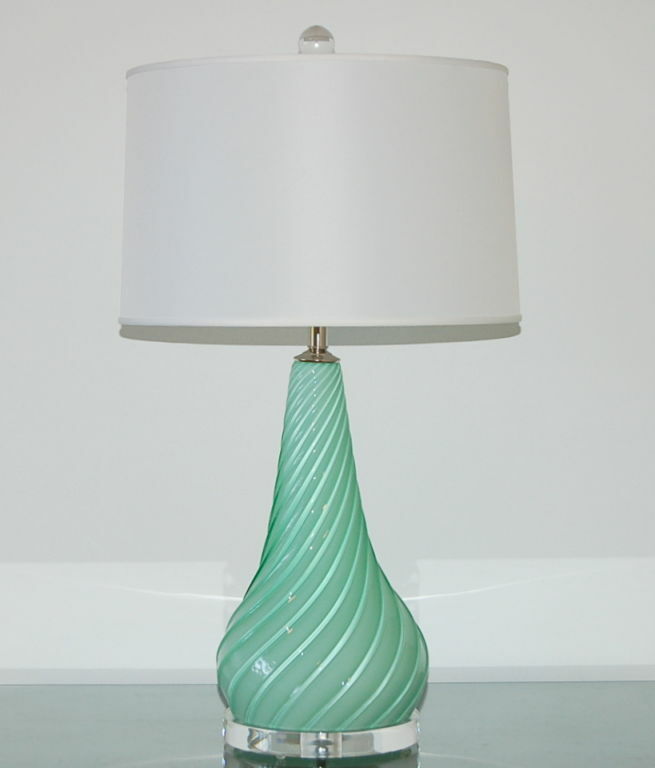 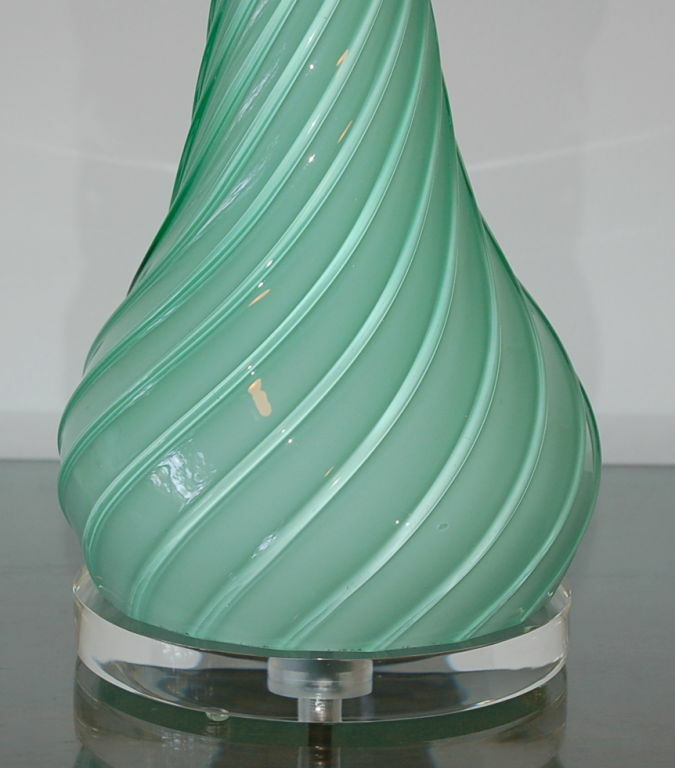 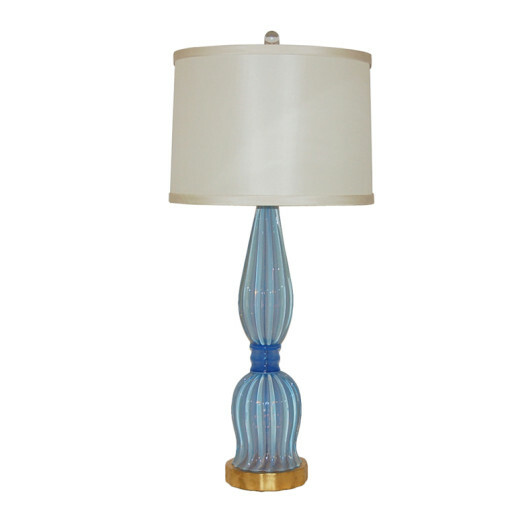 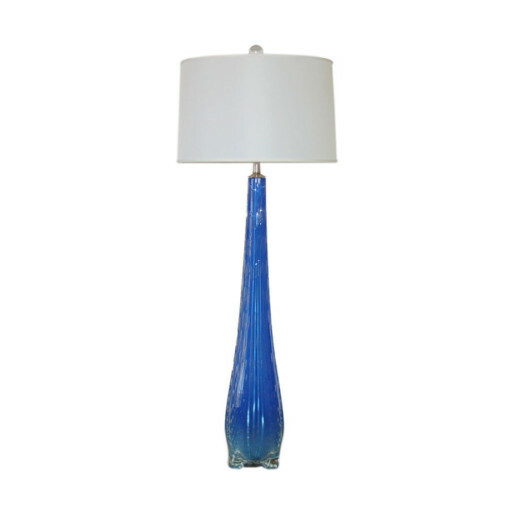 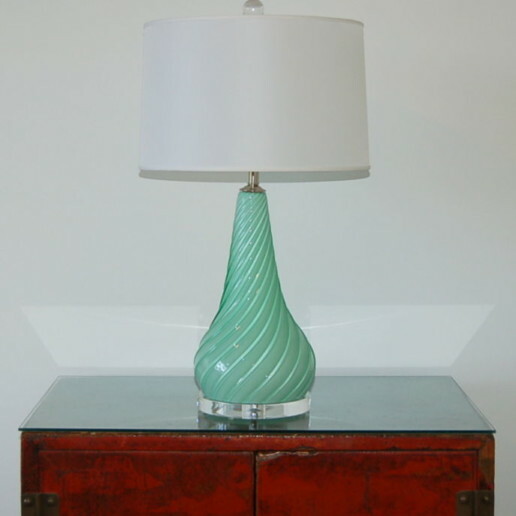 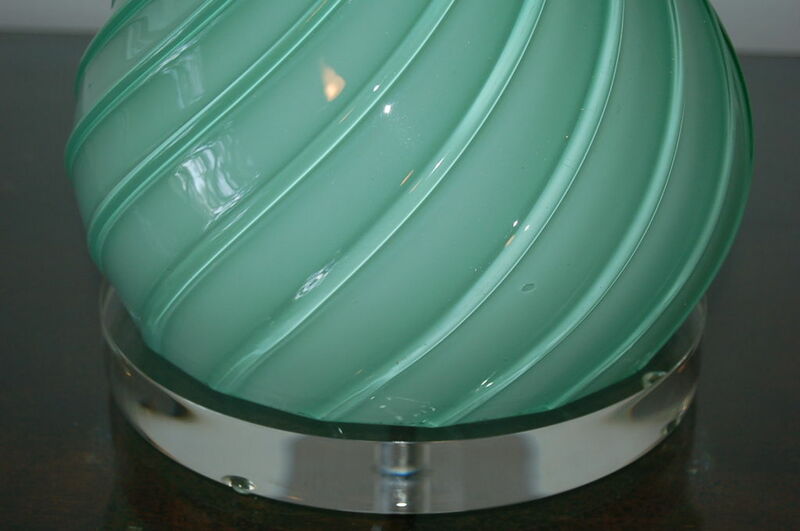 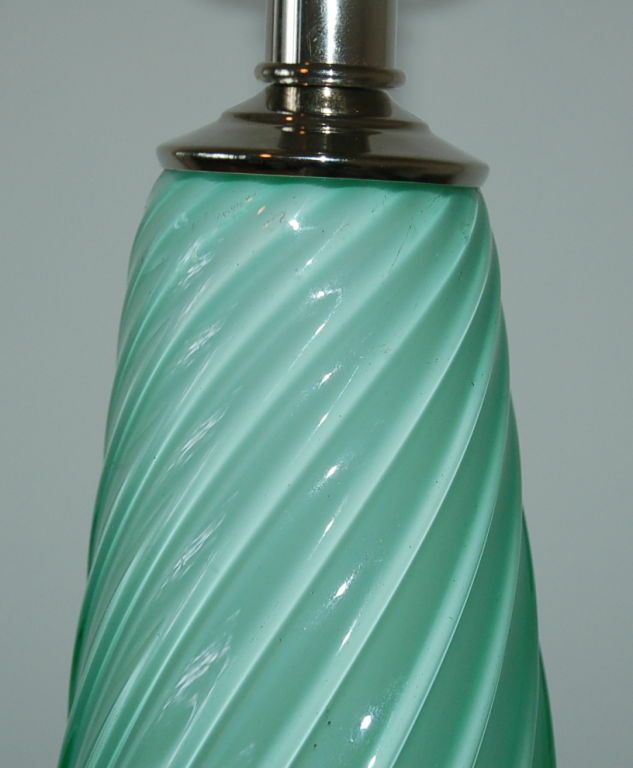 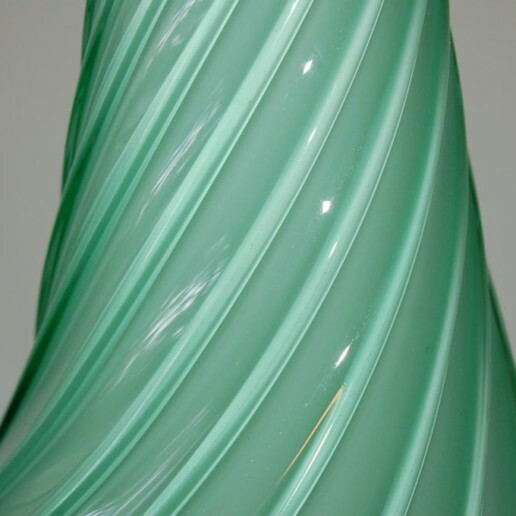 A color so rare we have yet to see it in any other vintage Murano glass – a true SEA FOAM GREEN with heavy diagonal ribbing, which gives this beauty a subtle two-tone effect. 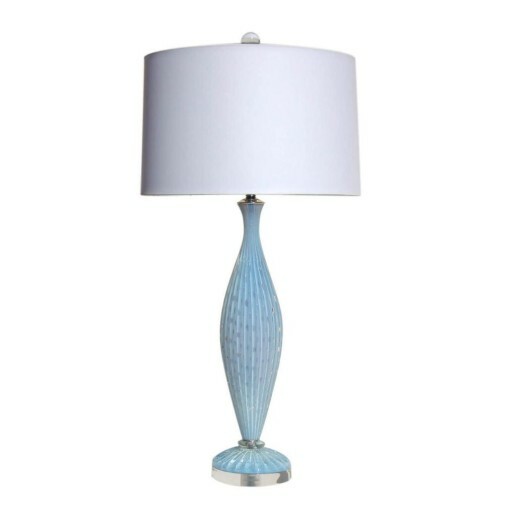 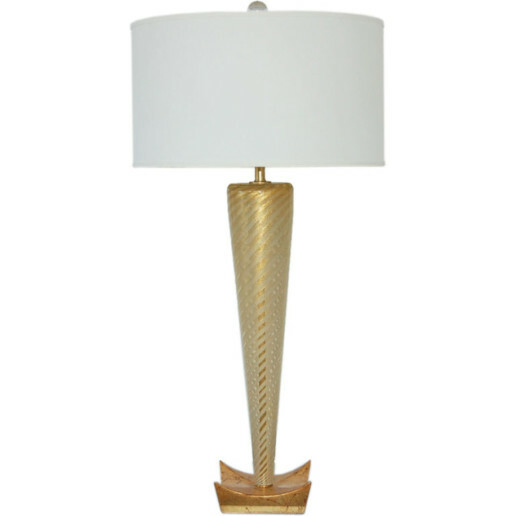 This lamp is 22 inches tall from tabletop to socket top. 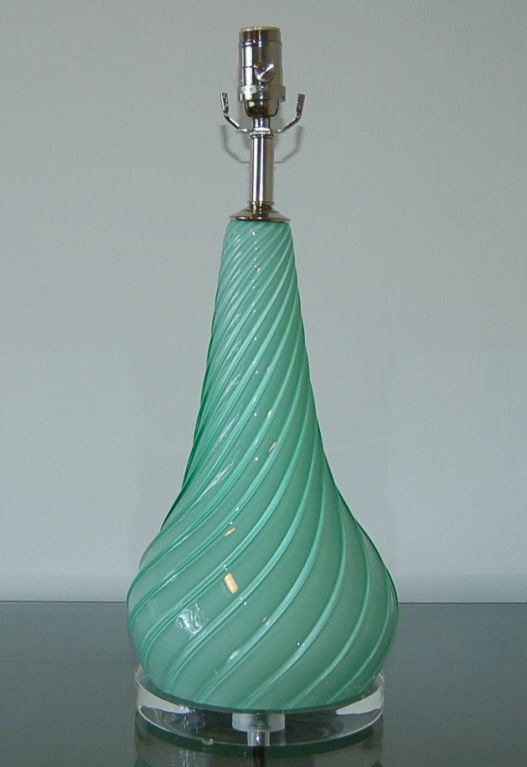 As shown, the top of shade is 28 inches high. 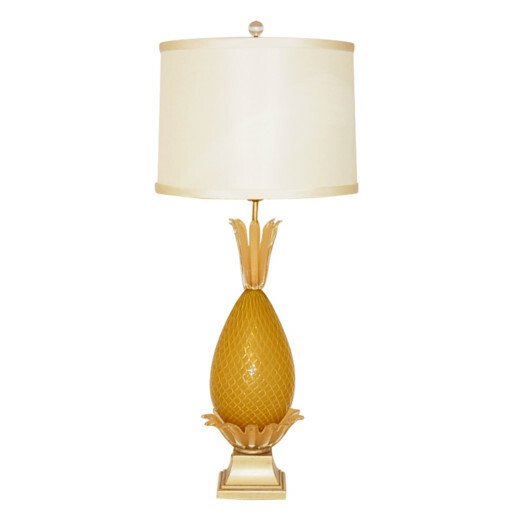 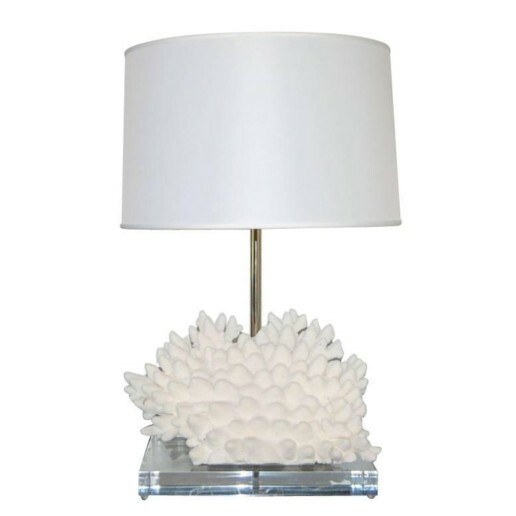 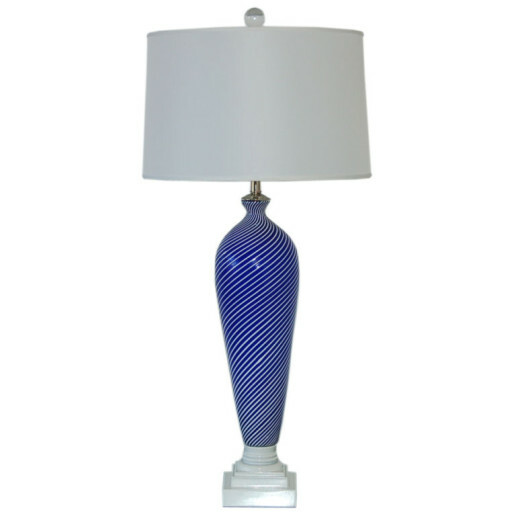 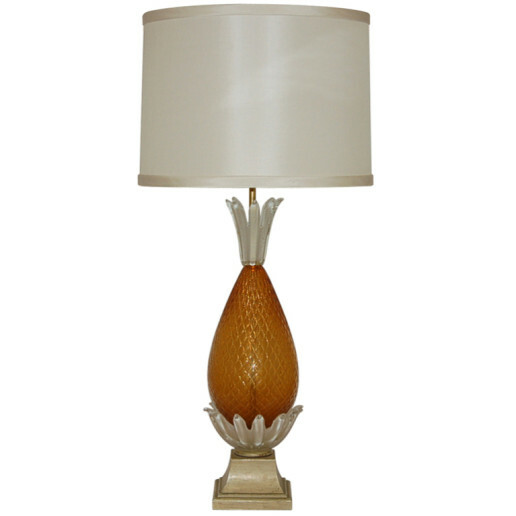 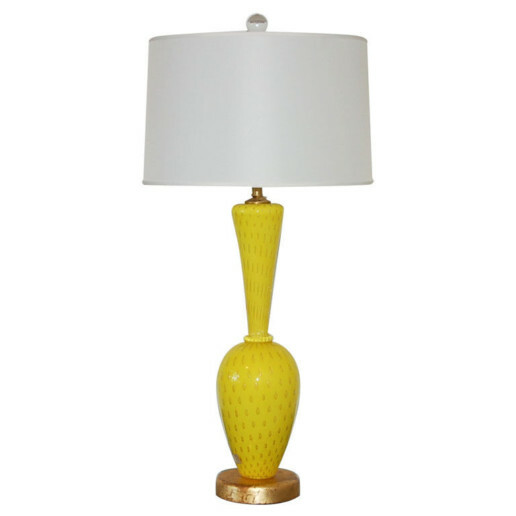 Lampshade is for display only and not available for sale.